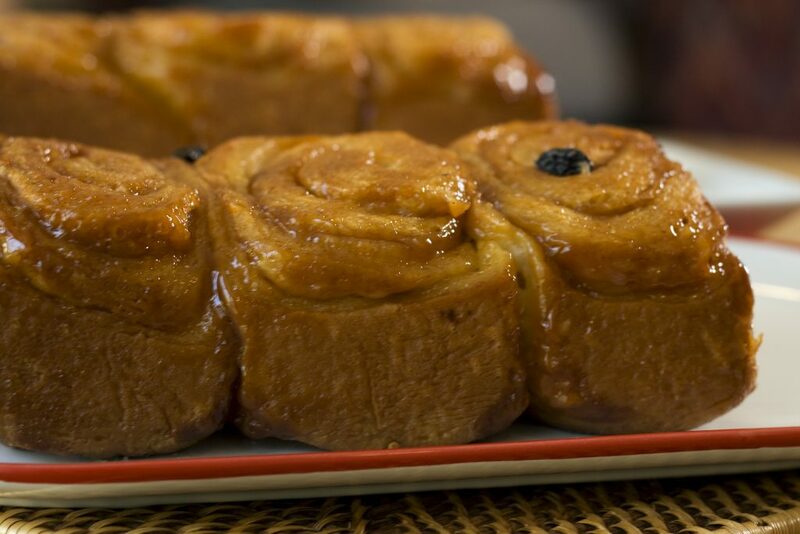 Schnecken was without a doubt the most popular pastry at Virginia Bakery. “Gooey”, “buttery”, “rich” were all used to describe this “sinfully good” confection. Several bakeries make schnecken, but there is only one Virginia Bakery Old Fashioned Schnecken and if you’ve had one you know the difference. Schnecken means snail in German and refers to the way the coiled dough resembles a snail’s shell, which is why anyone can make a coiled roll and call it schnecken. Virginia Bakery’s Old Fashioned Schnecken is unique simply because of the amount of butter it contains; two sticks in every loaf. It is not for calorie counters. Grandpa Thie used to say “If you’re going to sin, sin right”. A rich yellow dough is covered with butter, then cinnamon sugar, then sprinkled with raisins. The dough is then rolled, cut, and placed in a buttered mold. During baking, the sugar and butter carmelize to make the “Goo” everyone is so crazy about. The recipe for Virginia Bakery’s Old Fashioned Schnecken was reportedly given to many people, but after a lot of sampling, be assured it was never in its correct form. A lot of people have come close, but as the saying goes, “Close, but no cigar”. Virginia Bakery Remembered, on a smaller scale of course. You can order Virginia Bakery Old Fashioned Schnecken from Busken Bakery during the holiday season or get the book and try your skills at home. Either way I’m sure you’re going to agree this schnecken is to die for!